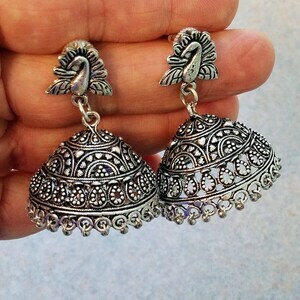 Stunning hand crafted Indian jhumka earrings in oxidized silver, so as to create the patina of a vintage piece. 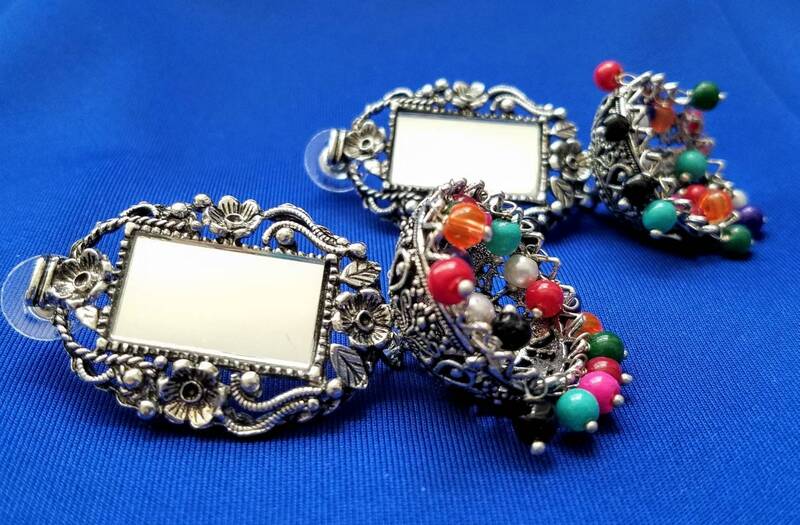 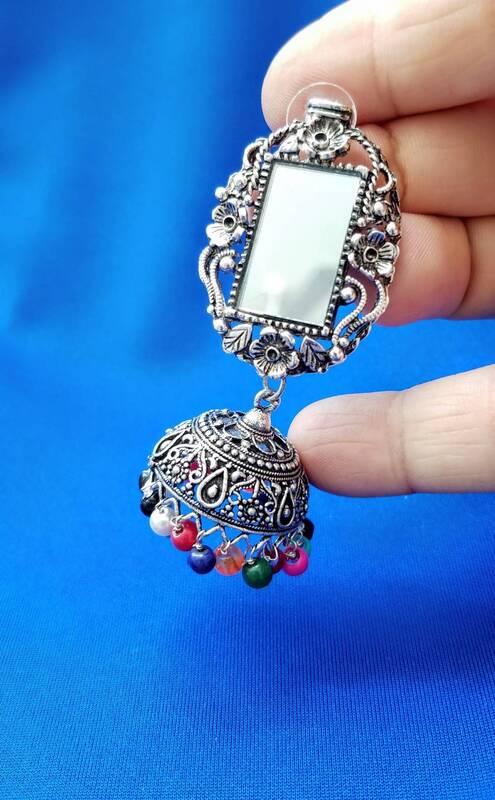 Real mirror framed in amazing detail with ornate flower blossoms. 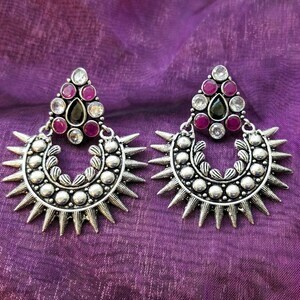 Every petal, every leaf is intricately etched in 3D. 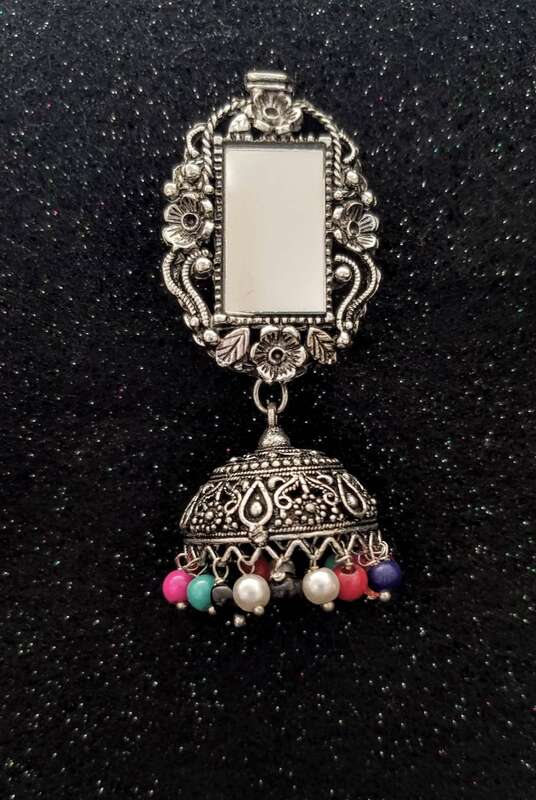 The mirror looks like it belongs in the entryway of a doll house! 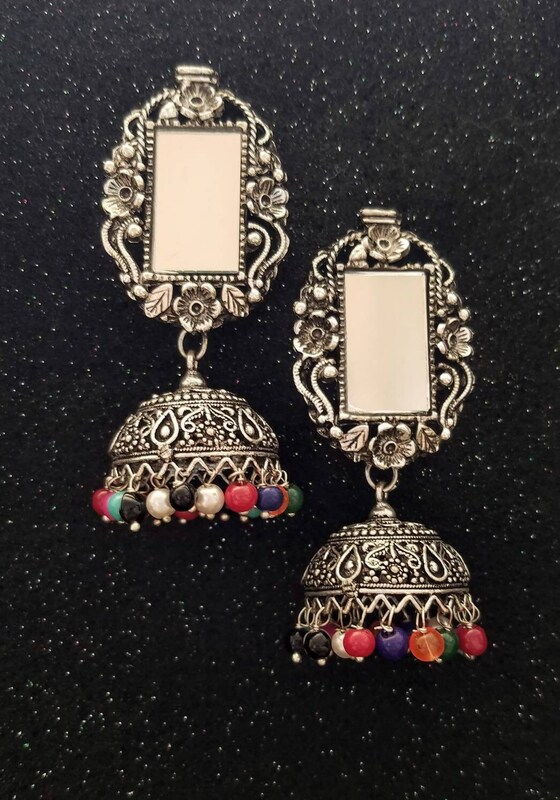 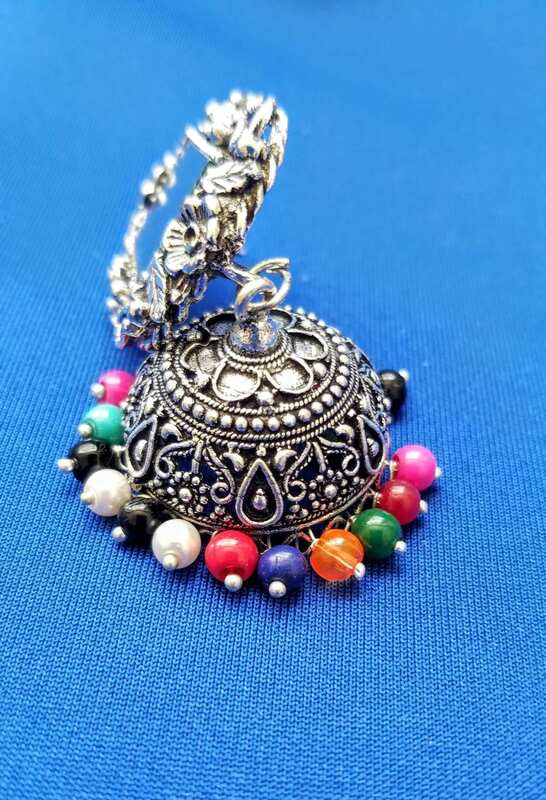 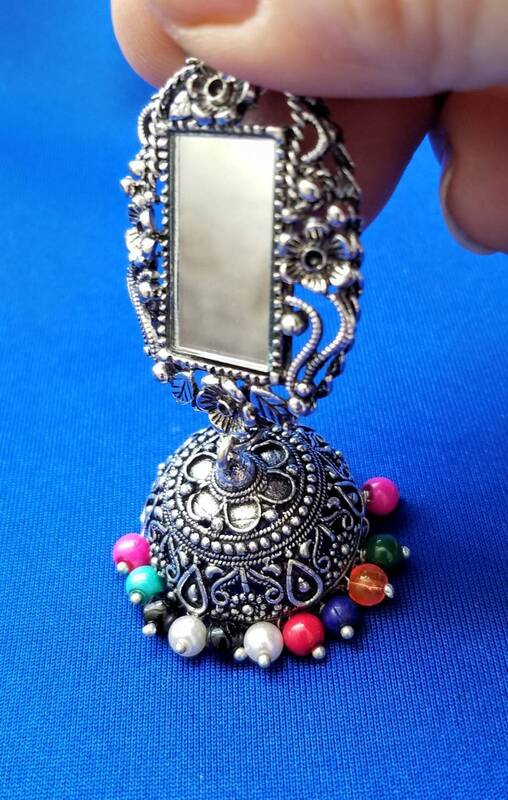 Jhumka bell suspended from mirrror has intricate filigree flower and heart motif. 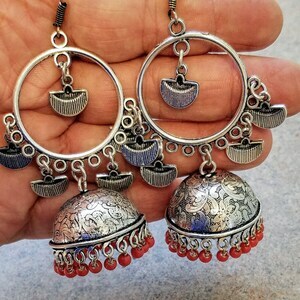 Dangles in fun colors add movement and playfulness. 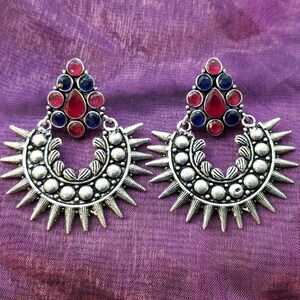 You are certain to be complimented on these eye catching earrings!